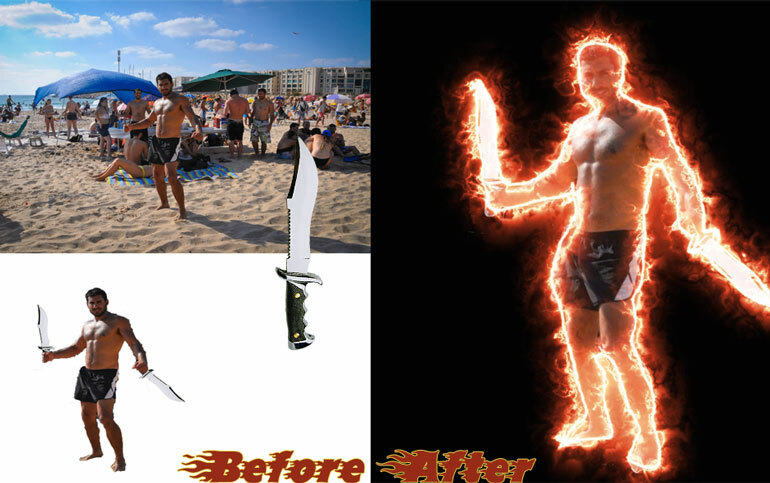 Image retouching is a general term that encompasses any photo manipulation that results in changing an image from the original photograph to something that looks different. In most cases retouching involves minor changes, but it can also encompass large enough changes to make images look completely different from the original photograph. Image retouching has been around almost since the first photographs were taken. Before digital imaging was invented retouching was done by hand and consisted of using ink, paint, double exposure and other techniques including airbrushing. Image retouching can include everything from changing the color of a photographs background to removing freckles from the face of a photograph of a person. Image retouching can make foods look more colorful and cover dings or dents in product photos. It can also make an object look larger or smaller than it actually is. Today there are many software programs that makes the retouching of images possible even by rank amateurs. However, professional photography studios still can offer the best results when it comes to image retouching. Benefit of Image Retouching Image retouching has several benefits for many different types of photography and here is a look at just a few of those benefits. Food Photography- image retouching is frequently used in food photography to make food look more appealing in recipe’s books and on restaurant menus. By manipulating food photos you can make strawberries look redder, cook turkey looking more golden brown and pea soup look even greener. Image retouching of food photographs can also make the ingredients that go into recipe look more appetizing. Product Photography- Image retouching is often use in product photography to help the products that being photographed look their best and really stand out. 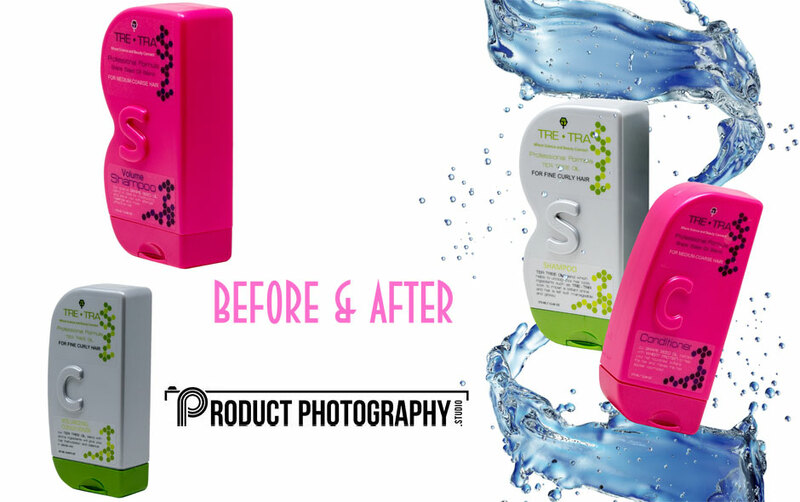 In some situations image retouching can be used to give a product a more three dimensional effect, or to brighten the color of liquid in a bottle. It can also be used to cover mars in the finish of a product to make it look it’s very best. 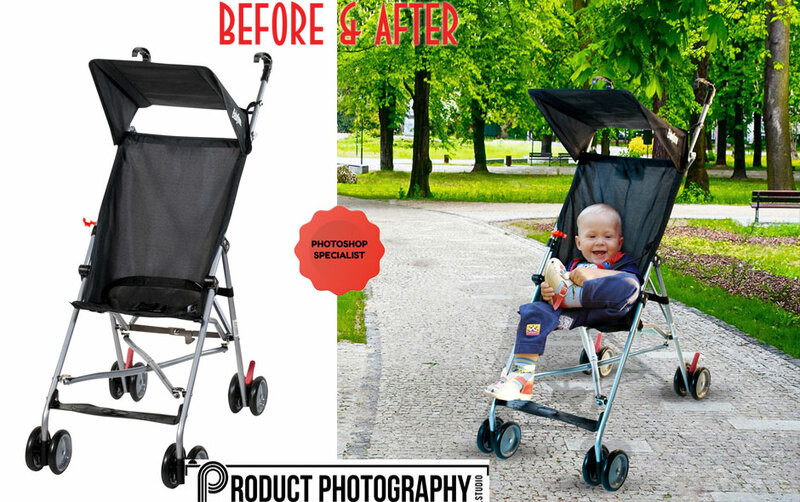 Image retouching is used in advertising of products to make them their best and at times even better than normally would in order to grab the attention of potential customers. In almost all cases your professional product photographer will do at least some retouching of product photos in order to give you the best product picture possible for you to use on your website or in your advertising. Portrait Photography- Image retouching is often used in portrait retouching in order to fix small flaws in a subjects complexion or even to show an improved version of someone’s body shape. Image retouching is often used in portrait photography to remove freckles, acne or scars. It is also used to make eye color look brighter and to improve the overall complexion of the person who has been photographed. Retouching of portrait can also remove red eye and whiten teeth.While a professional photographer can make a person look their best, they cannot hide flaws that there for the camera to see while retouching can remove or improve on those small imperfections that are caught on the camera. Wedding Photo Retouching- Weddings are an extremely special time and the bride, groom and both families demand wedding photographs that are as perfect as possible. Using image retouching software wedding photographers do everything in their power to help make your memories of this special event even more perfect than the day itself. With so many brides demanding perfect wedding photos retouching in a must in this field of photography today. While image retouching is an accepted practice in all types of photography it isn’t without its controversy. In cases where journalist use retouching to make a celebrity or someone who has been arrested look better or worse is thought to be unfair and offer a prejudice interpretation that may affect not just the photo but the entire article. There have been several instances when the face of one celebrity has been photo chopped onto the body of someone else. Interestingly enough, although computer software has made this type of image retouching more common the first such instance was actually when the artist Matthew Brady placed Lincoln’s head on Calhoun body. The portrait of this type of retouching is still seen on the five dollar bill today. 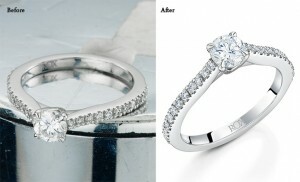 Some forms of retouching of products border on the verge of being false advertising. When using image retouching the photographer needs to be careful to provide a fairly honest representation of the product or person and have the client’s approval before making any changes. How Common is Image Retouching While some people make image retouching sound like something shady in actual fact occurs almost constantly especially in product retouching. Today retouching is done as a matter of course as the final step in getting a photograph ready to publish or sell. In many cases retouching is done in order to remove dust or fix lighting problems that the photographer missed prior to taking the photograph. Retouching is also done to brighten or dim backgrounds or even change background color to help the product, food, or other object stand out more vividly. When used to clear up small issues, the photographs can have a more polished and professional appearance and make small details easier for viewers to see. In some cases image retouching may bring out features of a product or person that might otherwise go unnoticed, but that someone is looking to find. In other cases, image retouching may lead some people to make assumptions about a product or person that is completely false. A professional that is good at their job of retouching knows where to draw the line between improvement and completely changing the looks of the subject or object they are photographing. Image Retouching or Manipulation and the law Not surprisingly image retouching or image manipulation has actually been used by law enforcement agencies to find missing children. Age progression photographs is a special type of software program that allows law enforcement agency to take photographs of a missing child at the age they disappeared and combine them with one or more relatives with the same basic features to provide pictures of what a child may look like as they age. Not surprisingly this type of image retouching has proved to often be extremely accurate and has actually lead to recovery of various missing children. Image retouching has also been used by law enforcement agencies in an effort to find criminals on the run. These programs may not only age a person, but also change hair color, add beards and mustaches and hair styles to create a “book” of possible looks in effort to identify a criminal. Again this type of retouching has aided law enforcement in their duties and may lead to the apprehension of some very dangerous individuals. The Art of Image Retouching Not surprisingly with today’s wealth of computer programs any one can purchase and download a image retouching software program. 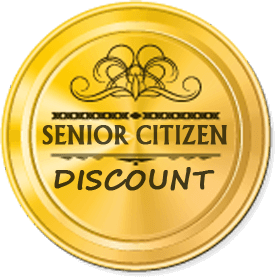 Most of these programs used by the average person allow a person to change background colors, brighten or lighten part of the photograph and crop photographs to remove any dead space or unwanted objects in the backgrounds. You can even add someone to your old family photographs if you desire. While this programs are often easy to use and can enhance your the digital photgraphs you take yourself, most DIY retouching lacks the fine tuning of a professional retouched image. What You See is Not Necessarily What You Get When it comes to image retouching what you see is not necessarily what you get. While some image retouching of products don’t really change what the product itself looks like, other images do make a produc look vastly different than what you see on a website or even printed in a magazine or in the newspaper. For example, jewelry can be photographed and then retouched to make the stones look larger or more sparkling or make details stand out much more than they do on the actual product. All you need to do is read some the reviews on Amazon or other retail or review sites to get some idea of the image retouching or manipulation that goes on. You’ll see comments such as “product is much smaller than it looked,” or product doesn’t look anything like pictured.” You’ll also see comments about colors being different, which may be due to your computer or to the manipulation of the colors for the photograph. How Much Image Retouching is Too Much? 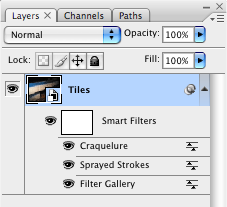 How much image retouching of any photograph is too much will depend on the individual photograph and the photos purpose. 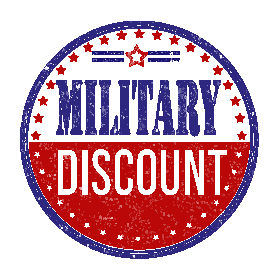 Obviously if you are paying big bucks to have your family’s photo done you are going to want everyone in the family to look their very best. Removing a bit of acne here or whitening teeth or one or two family members or removing red eye caused by the camera all fall within most families desires for retouching. 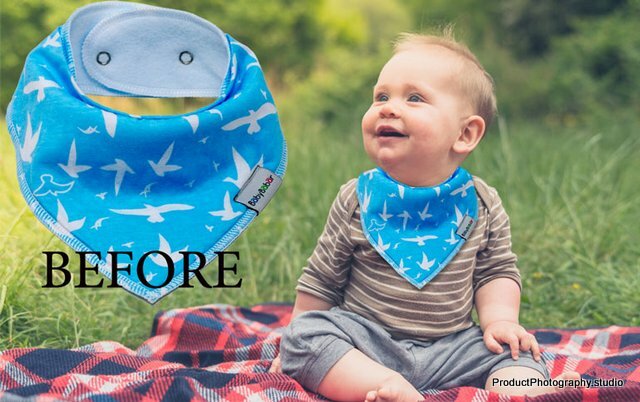 However, if you are setting up an online store you really may want your product photographs to look their best without changing what the product actually looks like. This may be why many online stores post more than one image for their customers to view. For example, if you are selling a ring with a lot of fine detail, you may want a picture of how the ring actually looks in the display case or on someone’s hand, and another that allows all the detailing in the ring to stand out so your customer can inspect that detailing. 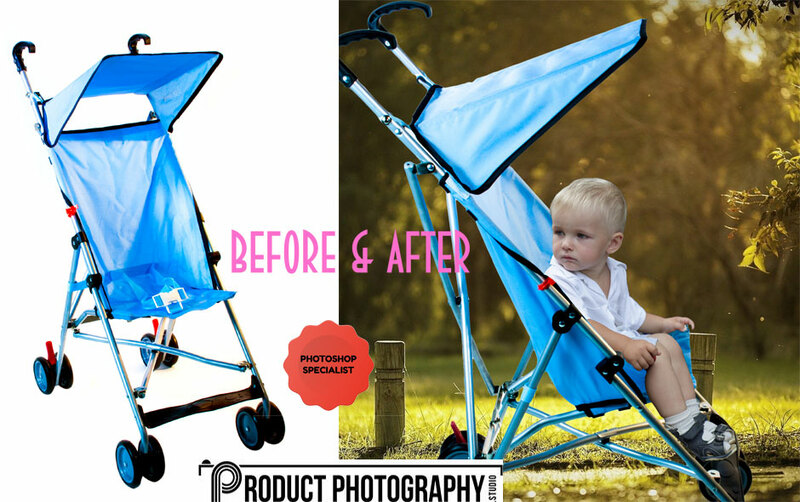 This type of image retouching or manipulation actually may help increase the number of satisfied customers who purchase products from you as they feel your photographs help them rather than hinder them when choosing their products. How to Determine if Image Retouching Has Gone too Far If you are having professional photographs done for a specific purpose and feel that the agency has gone too far with the image retouching then ask to see the original photogrpahs and compare it with the enhanced or improved version. If that is not possible then compare the retouched photograph to the original subject. Remember that professional studios use lighting, various angles and other tricks of the trade to make their subjects pop so the finished photgraph may not have needed much retouching to look it’s best. If you are unhappy with the the retouched image request that the photographer make changes in keeping with with what you truly want or need. In most cases, your professional photographer will discuss with you any retouching that they feel is needed or desirable prior to retouching the photograph and won’t retouch the photos without your expressed consent. In other cases, where you have access to visit the photographer in their studio, the photographer may show you how image retouching will make the finished product look so that you can actually see what the finished product looks like before it is printed. Your Opinion Matters Various people have various opinions about image retouching. While some people feel that this process is simply a part of the artistic impression other people feel that the retouching is basically a dishonest practice to lure people into believing things that are not quite true. When it comes to imager retouching and whether or not you will want to use it in your photographs depends on what your opinion is of retouching. It is your opinion that matters and only you can decide when retouching is helpful and when it crosses the line and becomes false advertising or a false statement.